Tonight I'm drinking Hennepin, a Belgian-Style Saison Farmhouse Ale brewed by Brewery Ommegang in Cooperstown, New York. 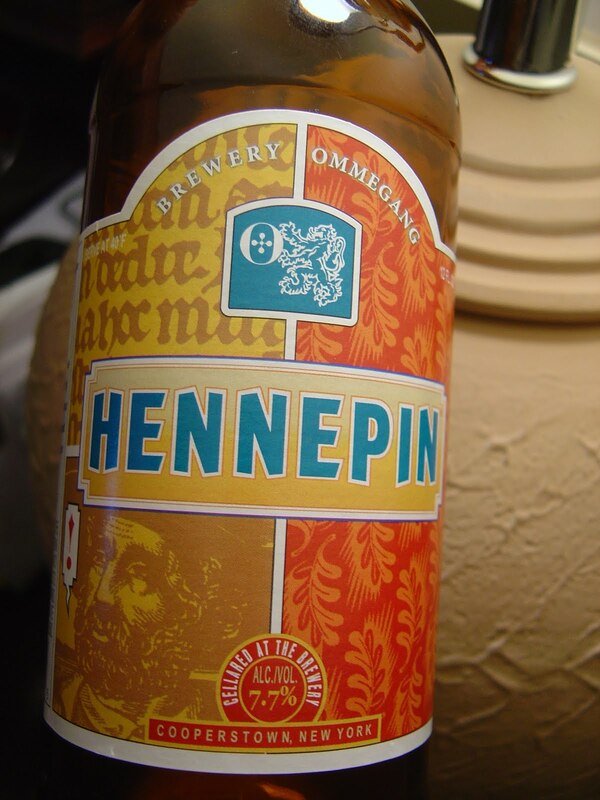 This beer is named after Father Hennepin, the dude that discovered Niagara Falls. Here's my original take on his discovery with my original review from way back in March, 2009. I'm not sure about you, but if I bumped into Niagara Falls, I'm pretty sure that I'd have discovered it, too! Tonight I opted for the 12 ounce bottle. 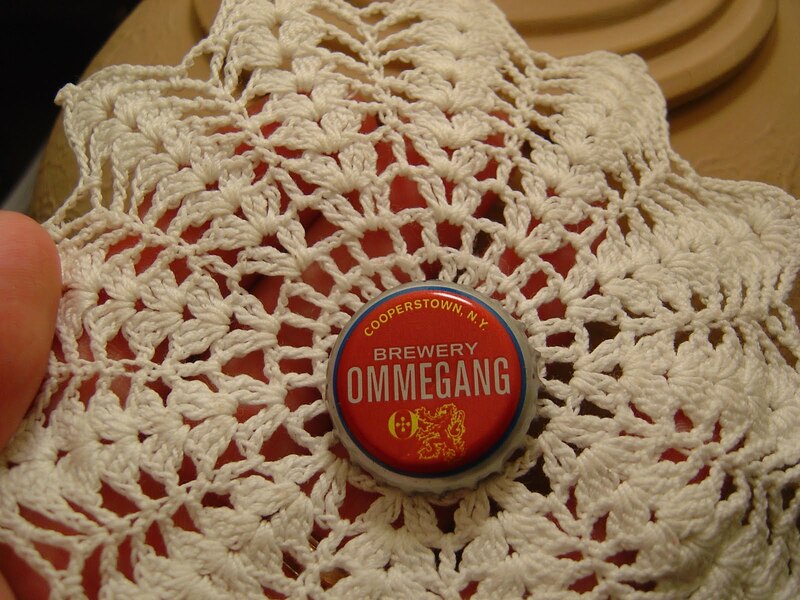 Ommegang is a Duvel-owned brewery, and well-known here in the US for producing top-notch Belgian-Style beers. And you all know how much I love their Three Philosophers brew! Serve at 40 degrees F.
Big, no giant, fluffy white head! Lemony citrus aroma with a punch. Flavor start out every so slightly sweet before immediately revealing their true colors. The track for this beer is clearly sour with plenty of lemon rind and spices mixing things up. Nice and tart yeasty bits give added dimensions as well. All of these flavors are highlighted by an enormous amount of prickly carbonation. Soapy and funky flavors start to join the rest as the beer progresses. There is a light fruitiness, some banana and perhaps pear, as well. Nice flavors, and you know, it's tough getting used to saying that when "this tastes a bit like dirty laundry" is on your mind! Definitely refreshing. There are a few of this style I like more, like Goose Island Sofie and Brooklyn Sorachi Ace off the top of my head, but this was a damn good beer! Being readily available makes it even more of a winner. And I'm #1 in Drinking Beer! If you disagree, tell me why! I've seen this one at my local beer store but was hesitant to try it. I'll have to pick one up! 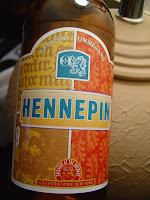 I dig this too, but the cave-aged Hennepin really blew me away (here's a review) - if you ever get yours hands on it, definitely pick some up. On a different note, what's with the doilie? White does indeed make it stand out, hahaha. You did a lovely job on your cross stitch, btw. I used to do that too! It was fun as hell. Then I picked up knitting and I tend to do that when working with string, these days.